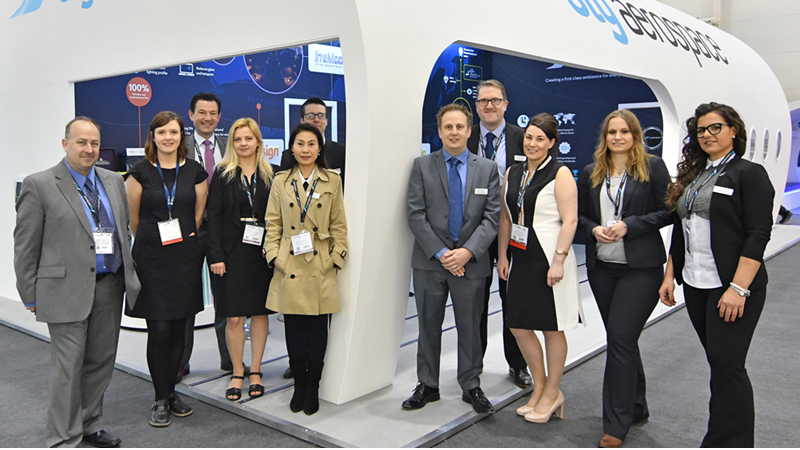 Over the three days, the STG Aerospace team welcomed an abundance of airlines, journalists, and industry colleagues to experience their innovative cabin lighting solutions inside a 737 cabin simulator. The leading event in the aircraft interiors calendar saw STG Aerospace make several important customer announcements throughout the week, including a major saf-Tglo® contract win at Boeing for the 787 Dreamliner, Icelandair selecting saf-Tglo® blu on its new fleet of 737 MAX aircraft and a major retrofit programme for China Eastern Airlines where saf-Tglo® PatternMatch™ technology has been selected for 125 of its Boeing 737NG aircraft. On the 5th April at the PAX International Readership Awards, STG Aerospace was announced winner of the ‘Best Cabin Interior Passenger Experience’ Award for its revolutionary square-beam liTeMood® LED Reading Light. Prior to this accolade, STG Aerospace announced that its first customers for its LED reading lights were Blue Air and leading charter carrier Titan Airways.